Hey I have a 97 bayou 300 2x4 (klf300b) that i bought for 1000 last June and sunk another 1000 into it already. When i went to look at it, the seller had warmed it up before hand (he was riding it when I got there). it ran good so i bought it and took it home that evening... next morning it wouldn't hardly start. I discovered the carb was clogged, there was chunks of rust in the fuel valve, the choke lever was missing and other things. I have since cleaned the carb and replaced the fuel valve and gas lines and cleaned out the gas tank and cap. Enough background on it, the problem is this: It floods if i push it past half throttle in 4th and 5th gear even going downhill and shifting correctly. It also has to idle and warm up when you first start it which is really annoying now that its cold... It also smokes blue smoke for about 15 seconds when started cold- does not smoke at all once warm but the exhaust still smells like burnt metal. A friend told me that it didn't have enough compression. I also found out that the valves are a common cause for low compression on Kawasakis.. I have never adjusted valves before- the most I've ever got into a engine was a head gasket on a riding mower so I'm new to this. My goal is to get this bike running and starting cold like a top- should i tear down and rebuild the top end? What should i try first? I tore the carb apart and rebuilt it and fiddled with the air screw and nothing changed. I also ordered a compression test kit that should be coming in soon. Well. Blue smoke is burning oil. Could be bad seals. Flooding is a float issue adjust to spec. Welcome to Quadcrazy! Nice looking bike. I’m not sure how mechanically inclined you are but if so then I would keep the bike! My guess is since you see blue smoke it’s most likely bad valve seals if the smoke goes away after it’s been running. 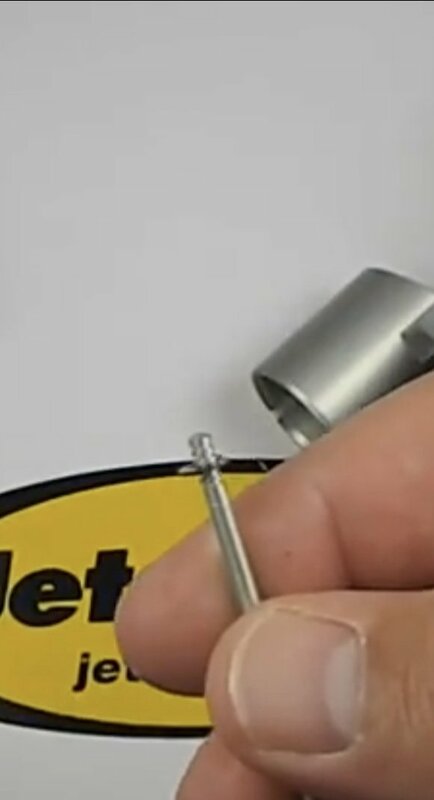 It’s a valve seal kit you can buy and install. If your not familiar then we can help as well as you tube. If the blue smoke is constant then maybe a piston and rings may be in order. As far as the carb goes and if someone had tinkered with it before then my guess is the needle on the carburetor is set wrong. 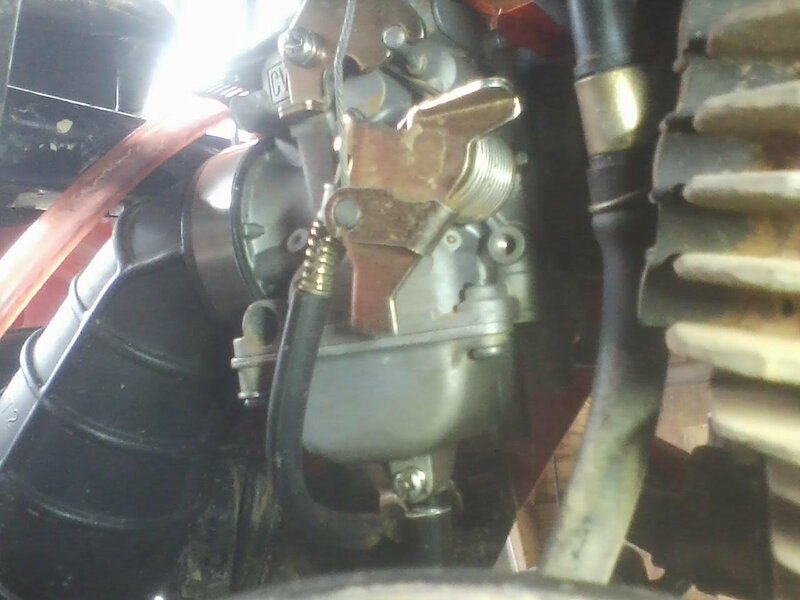 This can be adjusted very easily by following the throttle cable down to the carburetor and unscrewing the slide from the carburetor and making the adjustment on the needle. I have cleaned and inspected the carb thoroughly three times now- the float is not sticking or anything, and its not adjustable to my knowledge.. correct me if im wrong tho. You are not wrong just not aware. I have attached a pic for you to see. 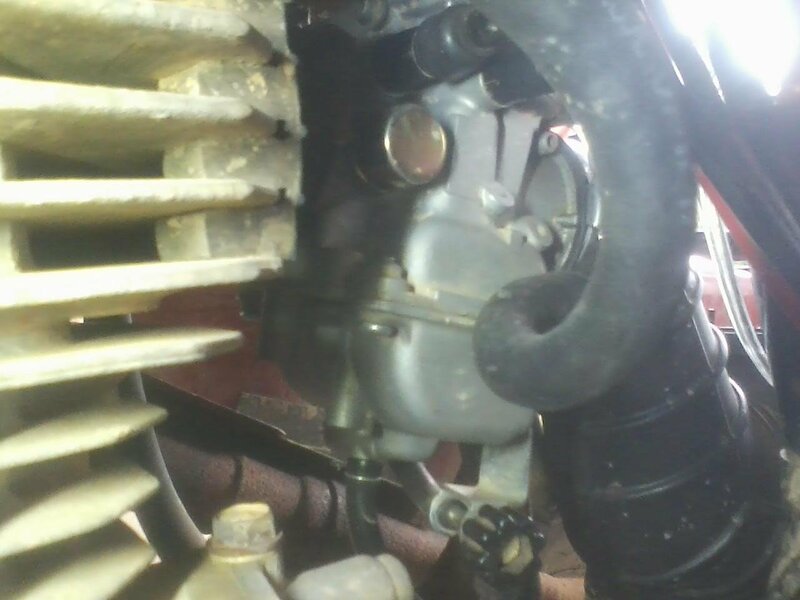 This is an adjustment to the needle hight inside the carb. To high the carb will result in too much fuel being delivered. So take a look and see. Maybe a long shot but def worth looking into. Put the clip at the second to last high spot on the needle and try that. Most common spot is in the middle or second to top. Also Manley sure all the meats are clean. After that I would go with a fresh plug and check the spark. Just to be sure it’s a good clean spark. Can you send a link to amizon or ebay for the valve kit? I'd rather not get the wrong parts..
All the jets are clean- I removed everything I could and cleaned everything with carb cleaner. I will get another sp soon to make sure that works. Carb cleaner is great but sometime you have to run a small wire through the jets to be sure they are clear. I also like to blow air through the jets to be sure they are clear. I like to use a piece of wire from a bicycle brake cable, one strand of that. There are also small brush kits for cleaning carburetors on amazon as well. 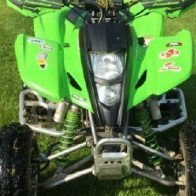 * Topic moved to Kawasaki ATV forum and added ATV info and issue to topic title. Thanks, that's a lot better price than the rebuild kit I looking at for $140. Thanks. So, I will check the compression, replace the sp, and get this kit for the valves. I will attach a picture of my carb- It doesn't look like the one the YouTube vid..maybe the former owner put in the wrong carb? I dunno..
It’s very possible it’s a cheap aftermarket carb. Is there a name on the carb ? A pic would be great. Also keep in mind that you will need a valve spring removal tool to take out the seals. Its cheap enough but not a tool we all use that often thank god ! I will try and get a picture of the carb today. The last pic is an identical carb on ebay. It’s posable that it’s an aftermarket but I can’t be 100%. But by the looks I would say yes. Hears my issue with the aftermarket if it is one. 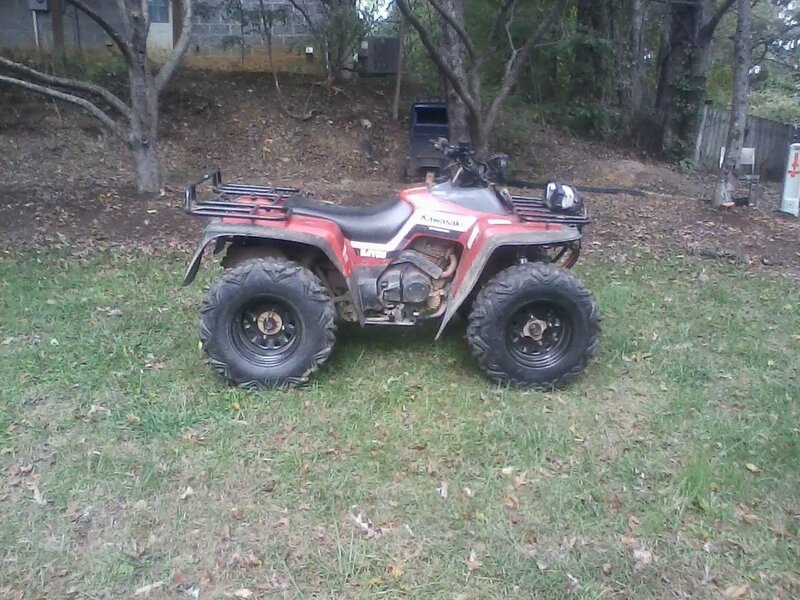 I’ve purchased one before and put it on my Polaris 90. Bike fired right up and ran good for the first 3/4 throttle. After that it was a hot mess. So I picked up a used factory carb and rebuilt it and put it in the bike. It ran great. I took the cheaper one apart to see what was going on and found nothing!!!! I put it back on the bike to see how it performed and the same thing. Go figure. Not quite sure what’s what but it was def someplace in that carb causing a problem. Maybe the casting when made but not sure. I am a big fan of oem replacements. Just the way it is. I would try to locate a used factory carb, rebuild and put that on so you can put that end to rest. As far as valve seals.... that should stop the burn off you are getting once replaced. I will try to find a used stock carb. Also my compression test kit hasn't come in yet but when it does, I'll give you guys an update of what the compression's running. Loop the carb and all the used/new carbs look exactly like my current carb. And all of them are at least $75. Should I just eat this or what? There doesnt look to be ANY difference between the oem carb, the stock used carbs, and my carb. That’s the thing with the cheap aftermarket carbs. They look identical and appear to be spot on. I’m not saying not to go ahead and try it but I’ve just had no luck with them. I like using the oem carbs. Def curious of the compression reading when you take it. I've used the knock off brands that looked oem and they were junk. For the extra money for oem. You can't go wrong. ok. And heres the parts diagram for the carb from kawasaki.com. https://www.kawasaki.com/Parts/PartsDiagram/18411/1997/KLF300-B10 I still dont see the what the youtube vid was talking about...? here is an oem carb for your bike on eBay. &89 bucks. I agree 100% with @06kfx440 on the cheap aftermarket carbs. That’s a great diagram btw. Typical vacuum actuated carb. Great for rebuilding help. ok i ordered it, a valve seal kit, and a sp. Awesome I bet you can’t wait to get started on the seals! If you look at one of my older posts I tore down my bayou 400 and did the valve seals. They were probably fine but since the head was off i figured might as well do them. Plus the seals came with the gasket kit anyway. I should have bought the valve compressor tool but wound up making one. Super important is the timing! Make sure your at TDC and the “T” mark on the fly wheel and the timing marks are where they belong on the top end pryor to removal and dont rotate the crank during this process If possible. You can always put it back if it happens but I like to leave it right where I took it off. Also take a few pics during just in case you need to take a look back. Valve cover bolts are all different lengths so number them with a sharpie and tape. When reassembling use plenty of lube/grease on the lobes and moving parts to avoid friction during the initial restart. After reasembly just spin the motor a few times without the spark plug just to make sure everything is smooth and oil pumps up to the head. I flirted with the idea of buying a cheap aftermarket chinese carb. In the end I just bought a carb kit. Let the carb sit in the cleaner bucket for a couple of days, cleaned it up and installed the kit. Runs great now except for the electrical gremlin I need to chase down. Have also Jumped the black wires still no crank. relay does click when key turned on and off. I know the kill switch is bad and all testing was done with it disconnected. I did connect it for a moment just to see if it cranked and it did not.